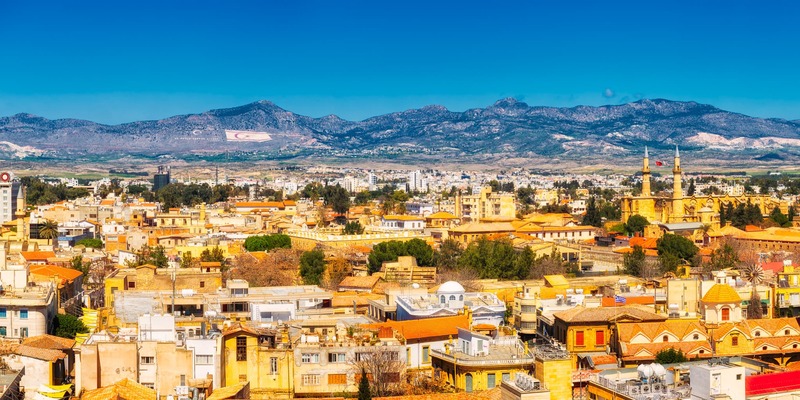 There are not many areas in Nicosia that allowed for a real panoramic capture of the city. Fortunately for us, we managed to find one… The Shacolas Museum and Observatory is located on Ledra Street – exactly in the heart of the Southern part of Nicosia in Cyprus. We had to pay an entrance fee, but the views were so worth it. We were able to see the Capital at an almost 360˚degree angle. The upper section of the ensemble displayed the personification of freedom. 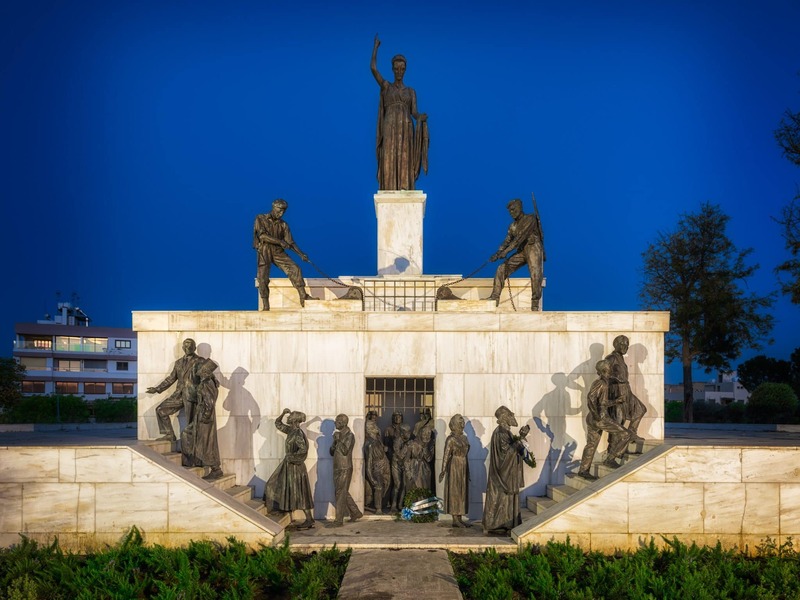 The female statue figuratively looks over 2 EOKA fighters who are opening the gates of a prison, as shown. I was deeply impressed at how much detail the postures had been designed and at how much the relief of independence was constructed on their faces. In a moment of reflection, you could almost “breath in” the atmosphere of joy and freedom. 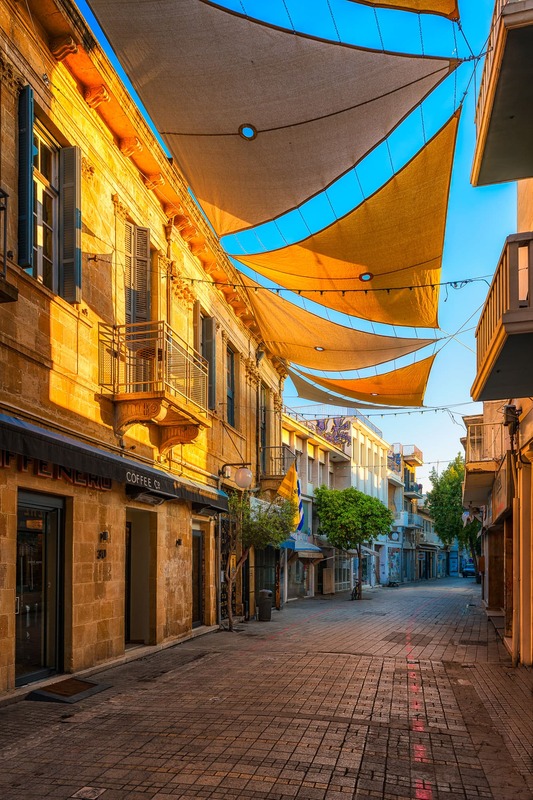 Ledra Street and Onasagorou Street are the beating hearts of Nicosia – the capital of Cyprus. A typical area filled with visitors ready to enjoy some Meze, during the early hours of the morning provided a very peaceful and serene atmosphere. If you would like to see this area at its quietest along with its dream-like surroundings, be sure to visit around sunrise. Büyük Han – “Great In” is the oldest hotel that I have ever seen. 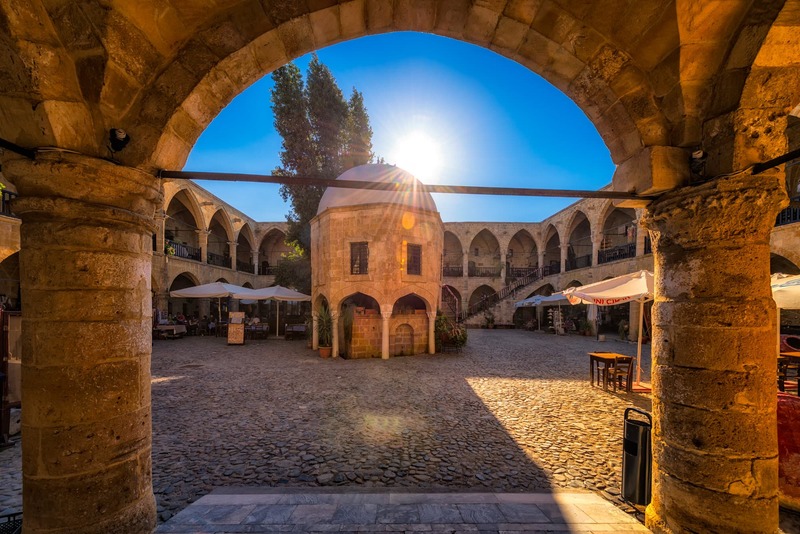 It was built in 1572 as Caravanserai – a place where travellers in Cyprus could sleep overnight after their journey – usually in connection with the commerce trade. In our modern day, Büyük Han is currently located in the northern part of Cyprus and is the main attraction for tourists, however, this area no longer serves as a hotel.